This video describes one of the most important factors in how AMD surged ahead to become a world leader in semiconductor manufacturing. 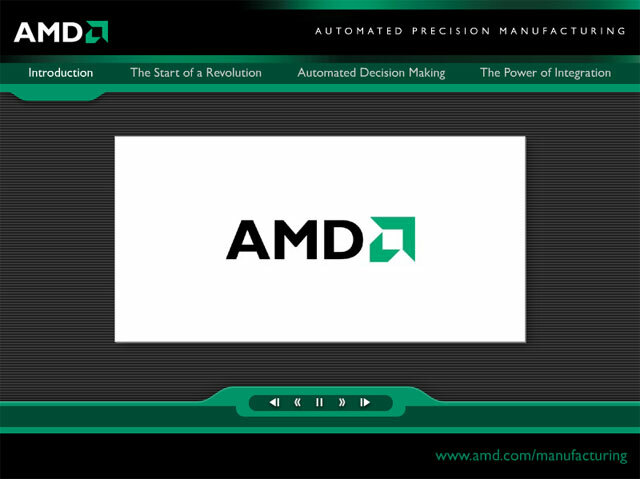 In its description of APM, you get an aerial view and tour inside AMD's 200mm Fab 30 in Dresden, Germany as it existed in 2005. It represents the pinnacle of 200mm manufacturing technology, with high levels of automation and cluster tools. You also find out how computers were used in what was a revolutionary advance in chip manufacturing. With APM, AMD was able to push chip making equipment beyond specified limits, making their ICs better. Take note of the lack of paper and proliferation of computers. Also, the wafers are boxed away in mini-environments rather than being in open cassettes, typical of older chip factories.